A drag show at Hamburger Mary’s in Orlando. Photo by Pam Harbaugh. No question to it…the place to be this evening is the Eau Gallie Arts District which is action central for not only a gallery stroll and free jazz music in the Foosaner Art Museum, but also a swell event called “April in Paris” — the celebratory kick off for Florida Tech’s FOURTH ANNUAL FRENCH FILM FESTIVAL. The festival runs through April 16. It’s a must-do for anyone out there who considers themselves even a bit of a culturati. Read gobs more about it, including the schedule of events for tonight and the films for the remainder of the festival by clicking here. The musical comedy “SISTER ACT” opens tonight and runs through April 24 at Titusville Playhouse. Tickets are $20 to $26 with discounts for seniors, military and students. 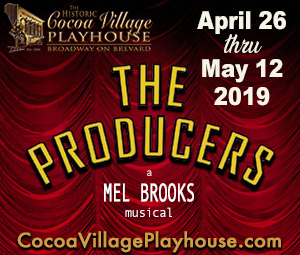 Call 321-268-1125, visit TitusvillePlayhouse.com or show your appreciation for TPI’s support of Brevard Culture by clicking onto their ad on the right side of this page. 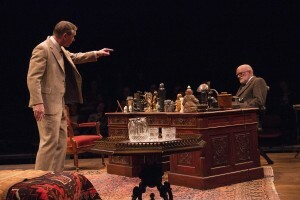 From left: David Schmittou and Steve Brady in “Freud’s Last Session” at Riverside Theatre. The riveting drama “FREUD’S LAST SESSION” ends its successful run at Riverside Theatre this Sunday. Get more information about the show or read the review by clicking here. 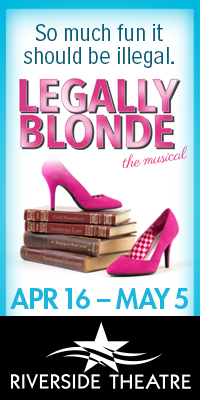 Call 772-231-6990, visit RiversideTheatre.com or, show your appreciation of Riverside Theatre’s support of Brevard Culture and click onto their ad on the right side of this page. The musical comedy “SUGAR” closes Sunday at Cocoa Village Playhouse. This is based on the movie “Some Like It Hot.” Get more info or read the review by clicking here. The very funny French farce, “TARTUFFE,” continues its successful run at Melbourne Civic Theatre. 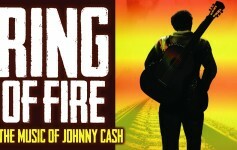 Get more information about the show or read the review by clicking here. 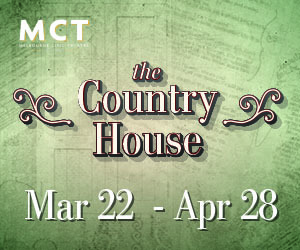 Call 321-723-6935, visit MyMCT.org, or show your appreciation for MCT’s support of Brevard Culture by clicking onto their ad on the right side of this page. 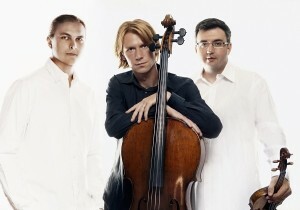 The HERMITAGE PIANO TRIO performs tonight only, 7:30 p.m. St St. Mark’s United Methodist Church in Indialantic. 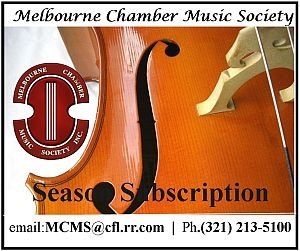 This is part of the Melbourne Chamber Music Society’s season offerings. Read more about it by clicking here. 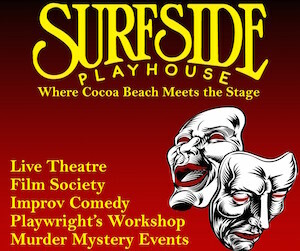 “THE FEARLESS IMPRO BRIGADE” performs 8 p.m. Saturday at Surfside Playhouse, 301 Ramp Road, Cocoa Beach. Tickets $7.00 at the door, or FREE for 2015-2016 Season Pass Holders. Call 321-783-3127 or visit SurfsidePlayers.com. 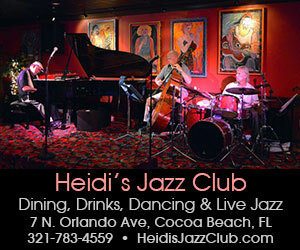 “NOT QUITE RIGHT PLAYERS” perform 7:30 p.m. April 2 in the Derek Gores Gallery, 587 W. Eau Gallie Blvd., Melbourne. General Admission Seating is limited and tickets are $15/$12 for students and are non-refundable. 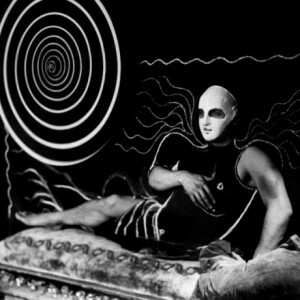 Patrons are encouraged to purchase tickets in advance, since shows often sell out. Doors open at 7 p.m., with an opening act at 7:30 p.m. Main show begins at 8 p.m. To get tickets visit NQRComedy.com. “TOUCHING STRANGERS” photo exhibition at Florida Tech’s Foosaner Art Museum. Read more about it and see a video about the photographer Richard Renaldi by clicking here. The Foosaner is at 1463 Highland Ave., Melbourne. Hours are 10 a.m. to 4 p.m. Wednesday through Saturday. Free admission to the galleries. 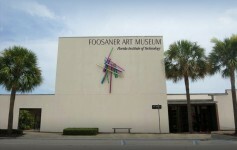 Call 321-674-8916, visit FoosanerArtMuseum.org or better yet, show the Foosaner you appreciate their support of Brevard Culture by clicking onto their ad on the right side of this page. “MATERIAL WORLD: Glass, Rubber and Paper” runs through May 1 at the Maitland Art Centre. Read more about it by clicking here and also by clicking onto their advertisement on the right side of this page. And do remember to show your appreciation of the Maitland Art Center’s support of Brevard Culture by clicking onto their ad on the right side of this page. “REIMAGINED: INNOVATIONS IN FIBER ART” by Alex Trimino and Carrie Sieh runs through May 7 at the Ruth Funk Center for Textile Arts. This is a vivid, fun, engaging exhibit filled with color and, as the title suggests — imagination. This is a real treat. Free admission. Hours are 10 a.m. to 4 p.m. Tuesdays through Fridays and noon to 4 p.m. Sundays. The Funk Center is on the campus of Florida Tech, 150 W. University Blvd., Melbourne. Call 321-674-8313 or click here. “JUST WINGIN’ IT: Art by Barbara Desrosiers” opens tonight during the first Friday gallery stroll along Highland Avenue (5:30 to 8:30 p.m. April 1). The exhibition will remain up through May 1 at the Fifth Avenue Art Gallery, 1470 Highland Avenue, Melbourne. Call 321-259-8261 or visit FifthAvenueArtGallery.com.